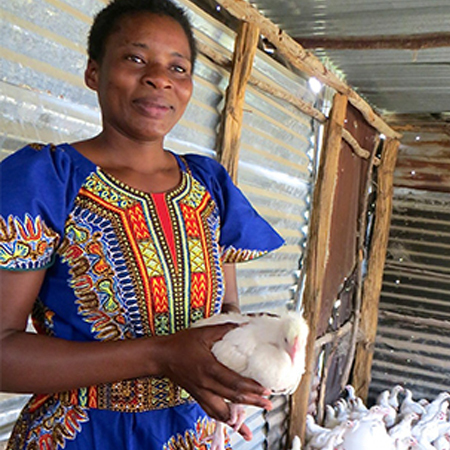 Also a nurse at a local hospital, Christine has used her loan to expand her poultry business. Originally raising fryers to sell, she has used her profits to start two new businesses, opening a small restaurant, and selling clean water. In addition, Christine owns a building in which several other members of the Bonde Group rent space for their shops. Besides being a landlord, she is both a mentor and inspiration to these young women. Her keen business sense and strong work ethic serve as an inspiration to them. Christine and her husband, a journalist in Nairobi who travels home on the weekends, have five children. Christine’s successful poultry business is now in its second year.